It’s her birthday and what better way to celebrate the life of a pinup legend than to shop for Bettie inspired threads at the Bettie Page Clothing store! 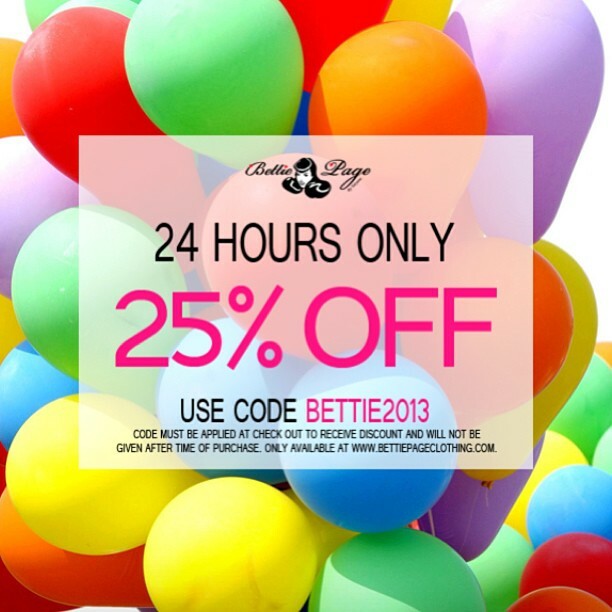 Use code: BETTIE2013 to get 25% off your purchase for 24 hours only! ← Viva Las Vegas: Day 4! Gone but never will be forgotten.